While it was first announced that Tom Boonen will participate in the Volta a la Comunitat Valenciana to replace the Tour of Qatar which is canceled, it seems that this option is now ruled out. The too close proximity between Boonen’s first race, the Tour de San Juan (Argentina) which ends on January 29, and the start of the Valencian race on February 1 have made it impossible to do both. Instead, Boonen could skip the Tour of Oman in favour of the Volta ao Algarve. It was originally planned that Boonen would do San Juan, Qatar and Oman to prepare the classics that start with the Omloop Het Nieuwsblad (February 25). With Qatar being canceled, the new solution was the race in Valencia but there are only two days between the finish in San Juan and the start in Valencia. He needs one day to get back to Europe and recover from the jetlag. This prompted Quick Step to cancel the Valencian solution. That does not mean that Quick Step will not go to Valencia but they opt to skip the race, it could leave room for BMC who are still waiting for a definitive answer. 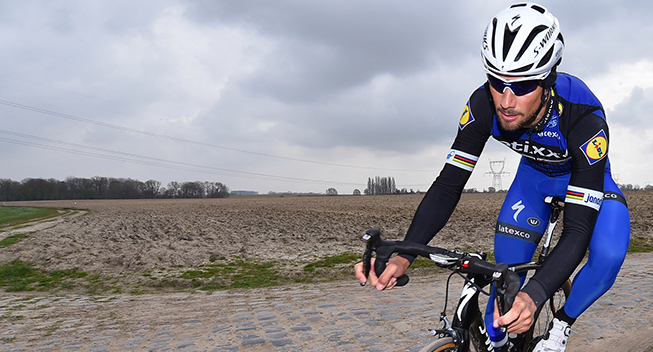 Boonen will do only two races instead of three in preparation for the Belgian opening weekend. But the program change does not end there. To replace the lack of racing days, Boonen could prefer the race in Algarve rather than the Tour of Oman. The Portuguese event offers a much harder course and the Quick Step team is already invited. The indirect consequence of the cancellation of the Tour of Qatar could be a weaker field at the Tour of Oman. While Quick-Step have been welcomed back in Valencia, BMC don’t have any guarantees yet. Greg Van Avermaet was also a regular participant at the Tour of Qatar. Unlike Boonen, he had no pre-programmed race. Last year Van Avermaet won the Omloop Het Nieuwsblad, the first big classic of the year. To defend his title, the Belgian, whose preparation was delayed by a small fracture of the ankle in November, will have to be ready by February 25.